A Growing Equity Mortgage (GEM) is a fixed rate mortgage that is structured so that your monthly payments start low and increase over a period time. The purpose of a growing equity mortgage is to enable borrowers to pay down the principal balance on the mortgage at a faster rate than with the traditional, level-payment mortgage. The mortgage payment on growing equity mortgages increase over time and the change in the payment is allocated towards paying down the principal balance. The monthly payments for the initial year are based on a 30-year level-payment amortization schedule. 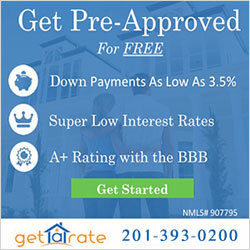 Subsequently, the monthly payments increase by an annual, fixed rate depending on your particular plan. The FHA offers five different growing equity mortgage plans. Click here to learn the requirements and more about the FHA Growing Equity Mortgage program.